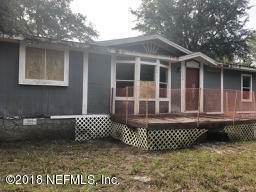 128 Ginnala Ln Palatka, FL. | MLS# 961561 | Modern Realty of Putnam Inc.
Beautiful setting. 1.73 Acres zoned Agriculture with large live oak trees. Home can be renovated or you could replace it with your new dream home in the private setting.